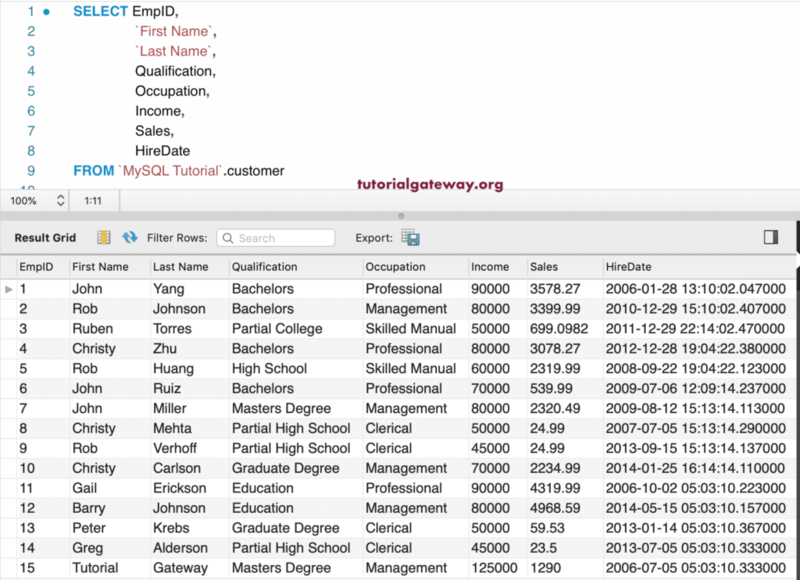 The MySQL LIMIT is used to restrict the number of rows that are returned by the query. 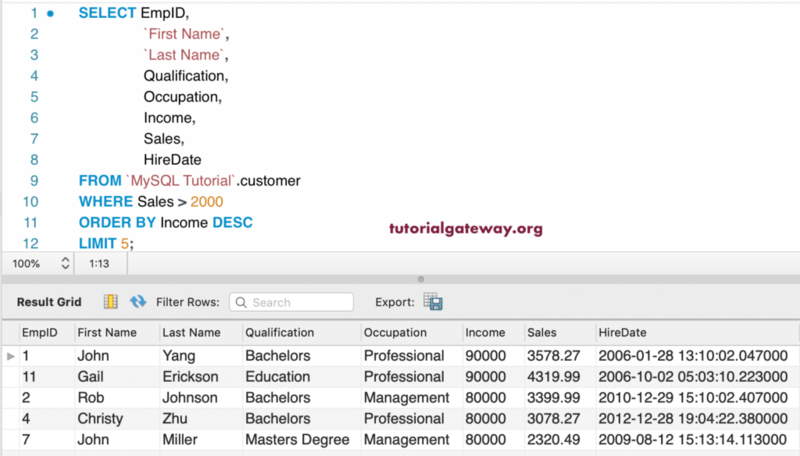 For example, If you are Sales Manager of a statements to identify the top performing products then you can use MySQL Limit. 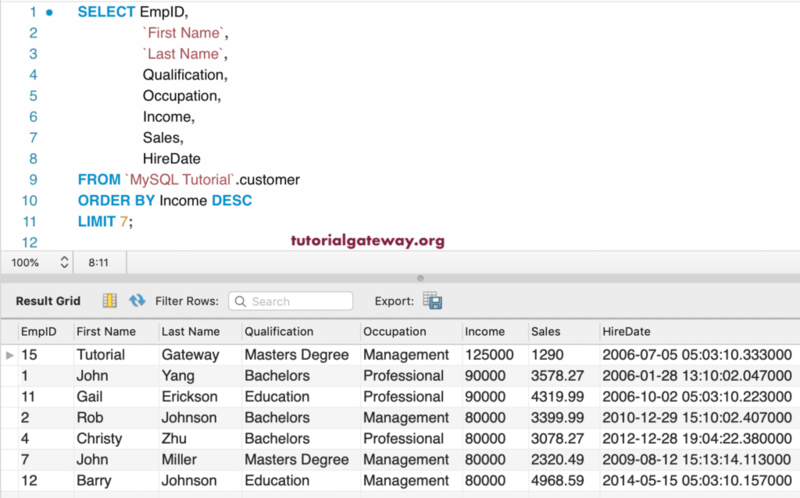 To return few records or to restrict the rows returned by the Select statement, we have to use this LIMIT at the end of the query. For this Limit Demonstration, We are going to use the below-shown data. Here, Select * statement selects all the records from customers. However, LIMIT 1 will limit or restrict the records to 1 row. This query limits the selected records to 10. 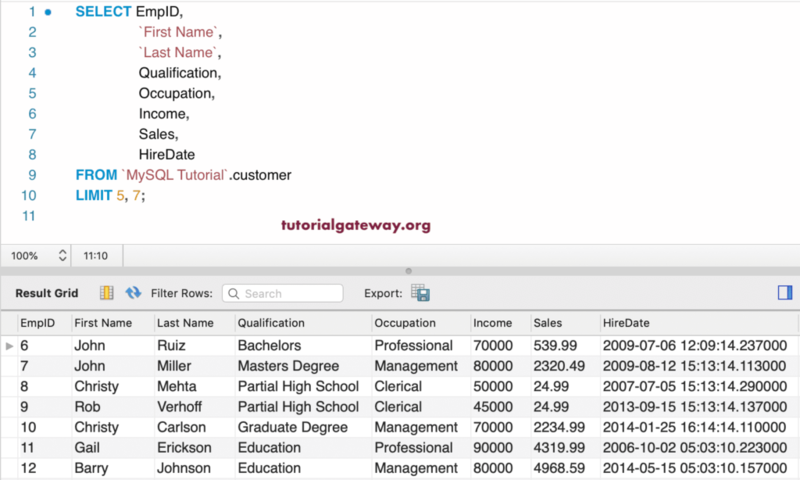 Use this query to select top 10 records from a customer table. As we said earlier, it is not a good practice to use Select *. This example selects the required columns from customers. Limit will select first three records. This time we are using the DESC keyword. It means, data will be sorted by Income in descending order. Next, Limit will select the top 7 records. You can also use Where Clause along with the MySQL Limit. This will first check the condition against the table, and then select the required rows. The following query selects the First 5 Customers whose Sales is Greater than 2000. Here, we used the Order By clause to sort the Customers in Descending order using income. You can use the MySQL Row Offset along with this. Here, Limit 3, 1 means Starts at 4th and select 1 record. The following query starts at 6th records, and selects consecutive 7 records. The following query sort the customers in Descending ordering income. Next, it select the 3rd record. It means, third highest salaried customer. In this example, we are using the Command Prompt. First, Limit 0 means it returns zero records. The second statement select first 2 records. The last statement select the first two customers order by sales in descending order. It means, two highest sales customers.